Credit Card Processing from Service Related Merchant Services. Helping businesses save manage and grow offering low cost merchant accounts for credit card processing and payment processing online. If we can't save you money over your credit card processing rates, we'll pay you! At Service Related Credit Card Processing we are so certain that we will save you money over your current merchant account provider that we will pay you $500 if we don't. If you've done your homework, you'll recognize immediately why we are confident in our credit card processing rates. We'll save you money or give you $500. It's that simple! 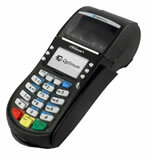 ServiceRelated.com helps businesses save money on credit card processing services with low rate merchant accounts. Your credit card processing costs can be one of the highest costs that your business experiences. If you have not compared your merchant account rates in the past year, you are paying too much money. If we cannot save you money on your monthly credit card processing, we will pay you $500! Take 5 minutes to fill out a credit card processing quote request today. Are you a member of the Lancaster NY Chamber of Commerce? Service Related is proud to be a preferred provider with the LACCNY. Learn more about our discounted credit card processing program for Lancaster Chamber of Commerce members. Service Related is proud to be a member of the West Seneca Chamber of Commerce. Ask about our special chamber of commerce credit card processing program. We offer a merchant account that pays you back.